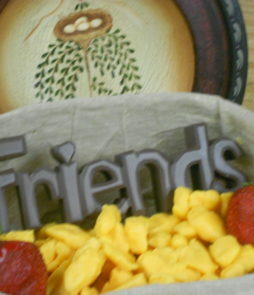 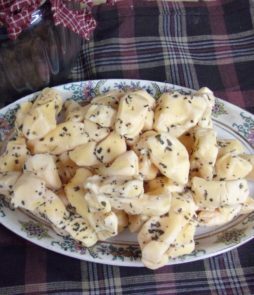 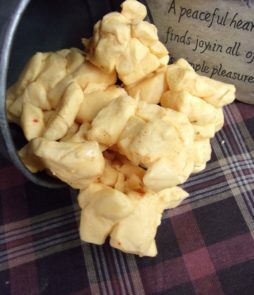 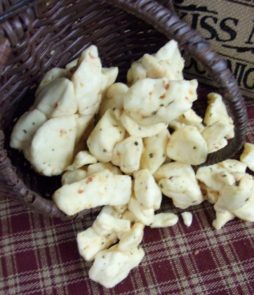 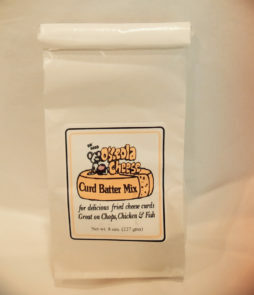 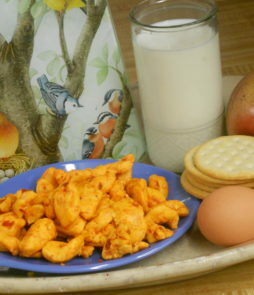 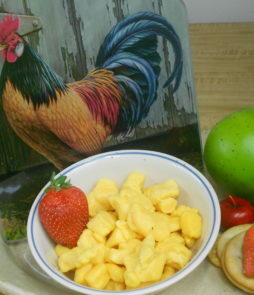 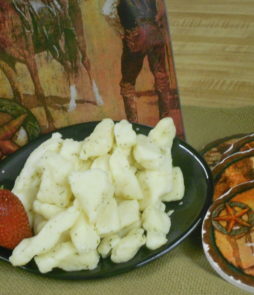 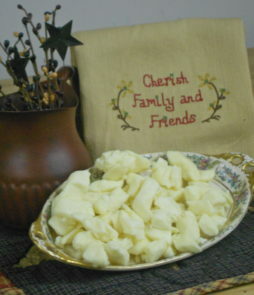 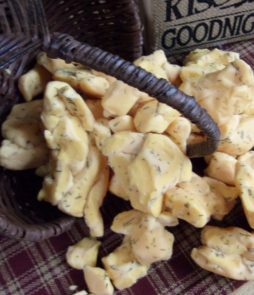 Curds are mild in flavor, with about the same firmness as cheese, but with a springy or rubbery texture. 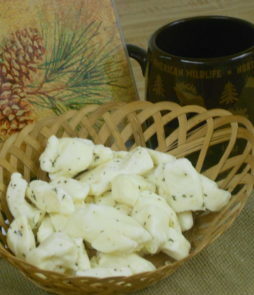 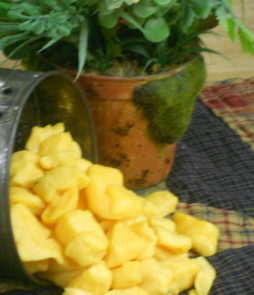 Fresh curds squeak against the teeth when bitten into, defining characteristic due to air trapped inside the porous material. 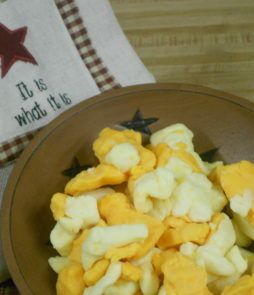 They make a perfect snack.